What is central air? Central HVAC systems deliver air throughout your house, cool air in the summer and heat in the winter. Most newly built homes in the U.S. have a central HVAC system. 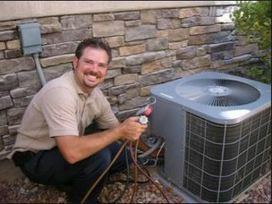 Central air conditioning is typically installed along with central furnaces and thus they are able to use the same ducts and the same blower to heat and cool your home. A refrigerant, Freon, is provided to the evaporator coil through a pipe in the air handler unit and cools then air which is then distributed throughout the house. In most cases central air conditioners are more efficient than room or window air conditioners if you plan on cooling the majority of your house and because of this a central air conditioning system can save both energy and money. Technology improvements have allowed air conditioners to become much more energy efficient over the past several decades. These improvements include variable speed motors which allow more control over the systems air distribution functions and this alone can lower energy consumption and increase individual comfort within the home. Most of the systems which are rated SEER 15 or above incorporate variable-speed motors to order to achieve this increased efficiency. 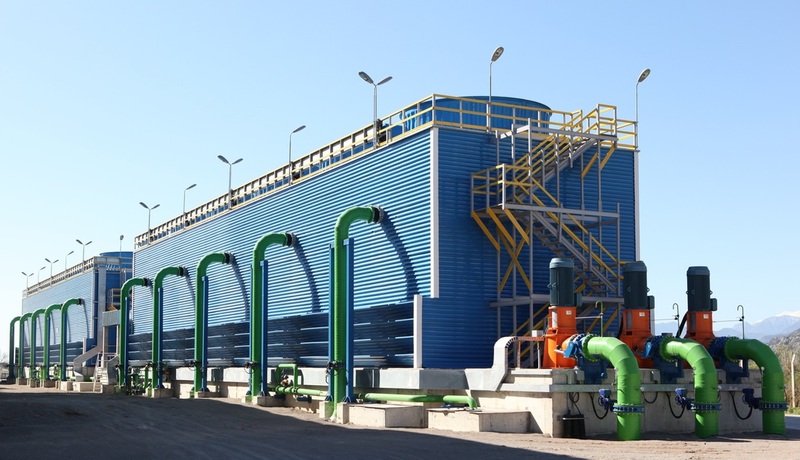 Additionally, advanced compressors as well as micro channel heat exchangers have advanced to the level that they have improved efficiency as well. If your existing air conditioning system was manufactured before 2006, installing a new unit could easily reduce your cooling costs by up to 40% and at least 20%(DOE 2010). ​The SEER rating is a rating based on the energy efficiency ratio of the central air conditioning system. As a consumer you should look for units with higher SEER ratings which will maximize your energy savings your local cooling season. Since 2006 a SEER rating of 13 or higher has been required by the federal government for all new air conditioners which are sold in the United States. Though many older systems in use still have much lower SEER ratings. Only air conditioners rated 14.5 or higher are allowed to use the ENERGY STAR label. Some of the best available central air conditioner systems can have SEER ratings of over 20. ​Your existing air conditioning system may be oversized. An air conditioning system which has been sized too large for your home will blast air on quickly and bring the air temperature below the set point, possibly shutting off before the system has had enough time to remove the moisture from the air. This can be a problem in areas where the summers are humid such as in the Virginia Beach and Hampton Roads area. Many contractors oversize central air conditioner systems because they will use rules of thumb instead of performing the more accurate load calculations. A contractor should utilize the ACCA Manual J in order to calculate the cooling load required and ACCA Manual S in order to correctly size your new central AC system (ACCA 2005; 1995). This becomes much more important if you have made major improvements to the air sealing and insulating, which will also result in reducing your cooling and heating load. At times heat pumps may require some oversizing in order to perform adequately as they generally do not supply as much cool air in regards to volume as a standard air conditioning system. Additionally, oversizing can be less of an issue when installing some of the latest cooling and heating equipment that utilize variable speed motors and compressors. These systems are capable of operating at lower speeds and capacities that are capable of matching low demand times while being able to have the ability to increase the capacity when the demand spikes. Newer high efficiency systems can cost more than units with the minimum required SEER but in time should pay for themselves (you can refer to the ‘payback calculator’ at www.energystar.gov. It can be found under the section titled ‘air conditioning’). As mentioned earlier, your air conditioner system should be properly sized for your home using ACCA’s Manual S. If you have had work done to improve the efficiency of your house, it may be possible to install a smaller size system when you replace your AC unit or you may even be able to replace two central air conditioning units with one central AC unit thus recouping some of your investment through the increased energy efficiency. An oversized air conditioner will tend to cycle on and off more frequently and in doing so it will both decrease the efficiency and increase the maintenance costs. Additionally, frequent cycling of your air conditioning system with an oversized unit causes the system to not dehumidify nearly as well as a properly sized system. So, proper sizing is very important to consider in the Virginia Beach area where we tend to have a humid climate. ​A time-delay relay switch on many of the newer air conditioning systems will keep the systems fan running for around two minutes after the compressor has shut off. This relay can help increase the unit’s efficiency in dry climates while allowing some of the moisture which has collected on the evaporator coil to evaporate back into the air distribution system. This can contribute to increasing the indoor humidity in humid climates. Typically, the time delay relay switch is jumper selectable and in a humid climate it should be set to 30 seconds or less. Additionally, for the most efficient operation of your unit, you should set the fan on central air conditioner systems to “Auto”, not “On”. Also, the compressor should be set to start before the blower motor starts. Drain pans should also be properly installed for obvious reasons. Your HVAC contractor may recommend that you zone your air conditioners by separate floors utilizing two or more air conditioning units for a multi-story house. Zoning using only dampers has some issues for system performance which include noise and the difficulty maintaining the air flow over the systems coil. In dry climates you can take advantage of night time cooling with economizers which can draw in the outside air during evening and early morning. It is recommended that you use air filters which are rated MERV 8 or higher in newer systems which are built to accommodate filters that are 2-inch to 4-inch thick. In older systems that have the one-inch filter slots, the high MERV one-inch filters may block air flow so it may be better to use lower rated MERV filters even though they need to be replaced more often. The efficiency of your unit can be greatly affected by improper Freon refrigerant levels whether it is undercharged (too low) due to leaks or overcharged (too high) because the contractor added too much. In one report, the EPA estimated that when tested 75% of air conditioning systems had the wrong amount of refrigerant. Having incorrect refrigerant levels can lower your systems efficiency from 5% to as much as 20% and can also cause components to fail prematurely which result in costly repairs.